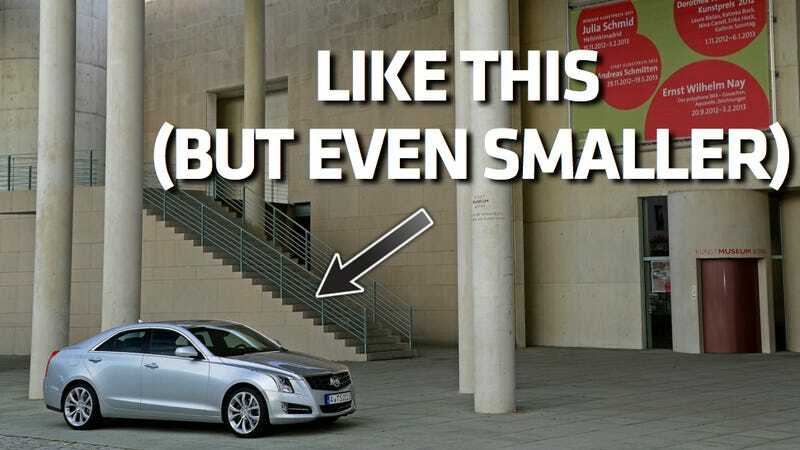 The entry-level luxury market has been completely flooded with itty bitty Teutons as of late, from the Audi A3 to the Mercedes-Benz CLA to the BMW 2-series. And that's a problem for Cadillac, because they want to win the luxury war, and they're haven't been fighting that battle. Yet. And that's going to change. Cadillac is developing a car that would fit below the ATS, de Nysschen said, declining to put a time frame on its arrival. Unlike the front-wheel-drive layout of the CLA — which is less expensive to develop and typically allows for more interior space — Cadillac plans to build its future entry-level sedan on the same rwd platform that underpins the ATS, codenamed Alpha. "The cost and packaging advantages of front-wheel drive are appealing. But Cadillac is the challenger brand," de Nysschen said. "We want to build our reputation as a purveyor of high-performance drivers' cars … so it's better that we do it off a rear-wheel drive architecture." The main issue comes down to two significant issues – price, and size. The ATS is a relatively small car, but it doesn't have a lot of back seat room. At the same time, it costs a couple of grand more than the Germans, which all start around roughly $30,000, and are even smaller. So if you're going to be sacrificing back seat room anyways, why not go for the cheaper option? So that's the Cadillac conundrum at the moment, and why we'll probably see a smaller one on the horizon. And though you may have horror-filled nightmares of a Cadillac Catera dancing around your head, something tells me our futures will not be so terrifying as our collective automotive past. Cadillac's a much different company now, and a much better company. Also, did you miss the part about rear-wheel drive? Rear wheel drive! That can't be so bad. I hope.